On 21 July the sun shone down on Father Hudson’s summer fête, which drew visitors from across the Archdiocese. The Mayor of Coleshill, Tony Battle, and Andy Quinn, CEO of Father Hudson’s Care, opened the fête. Friend of the charity Peter Fowler again provided his DJ service, which gave the day a festive atmosphere. 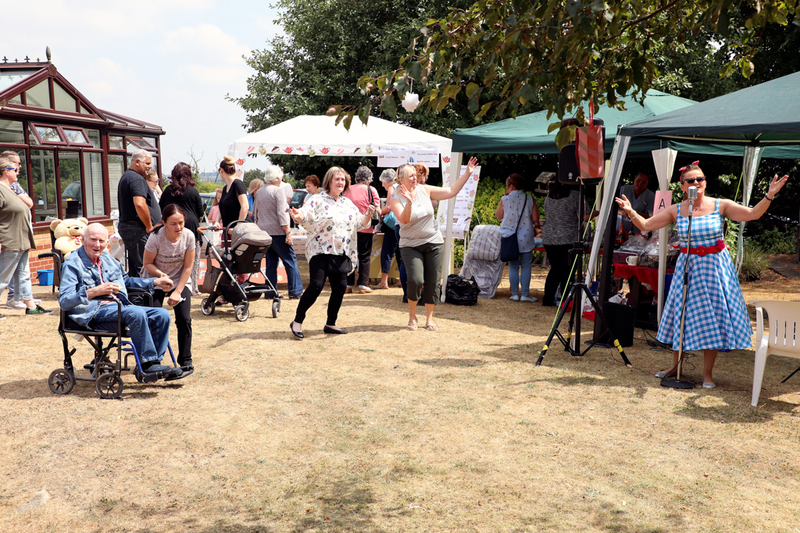 Young and old enjoyed a wide variety of stalls, selling food and handmade crafts, or running games and competitions. The bottle tombola and curry stall, run by Brushstrokes, were great hits. 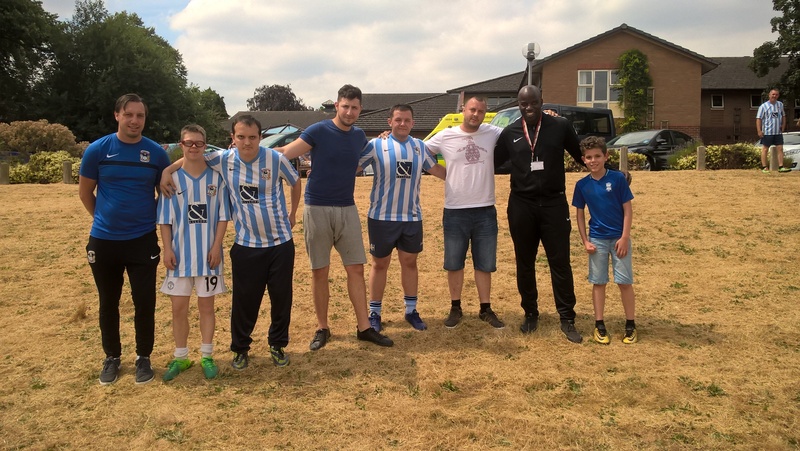 Andrew Penny, manager at St Vincent’s House, arranged a football match with Coventry City’s Disability Team. Like last year, the match went to penalties but this time Father Hudson’s won the day. Staff from across the Adult Care Team got involved. St Joseph’s Care Home opened its gardens to host the barbecue while two excellent singers entertained guests. The all-important cake stall was busy all day, with visitors queuing up to tuck into tasty treats. Staff from St Catherine’s Day Service, New Routes fostering and the volunteering team were on hand to answer questions, and managers from St Joseph’s gave guided tours of the Home. Father Hudson’s wishes to thank everyone who helped out by donating items for the stalls, baking cakes, lending equipment, donating raffle prizes or giving their time on the day to ensure things went smoothly. Thank you to Martyn Adams, who volunteered to take the photographs. And, of course, thank you to everyone who came along and helped make the event a success.